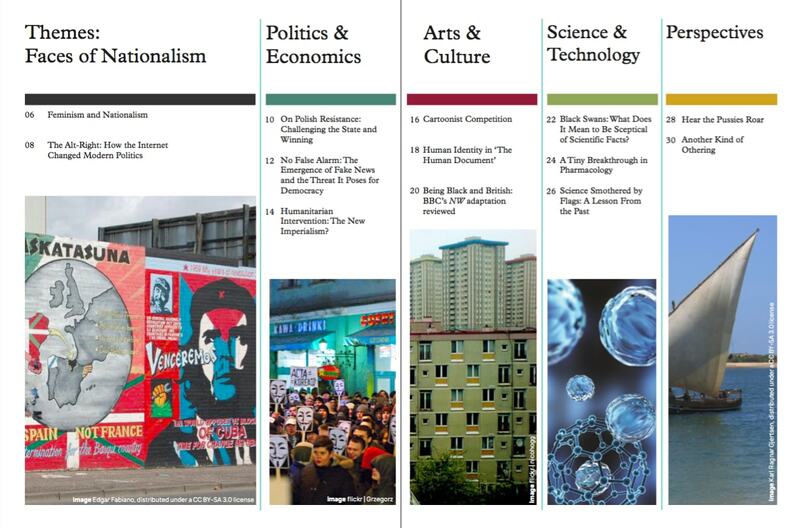 We are student-run international affairs magazine raising money to publish a print issue this term! The Warwick Globalist is the University of Warwick's leading student-run, international affairs and investigative journalism magazine that seeks to give a voice to Warwick students and highlight issues that may have been ignored by other media outlets. We publish articles on our website all year round, and also host our own radio show on RadioWarwick, inviting students to join the conversation about important global events. The Warwick Globalist has always focused on the most crucial challenges facing the world, trying to cover unconventional topics and opinions. 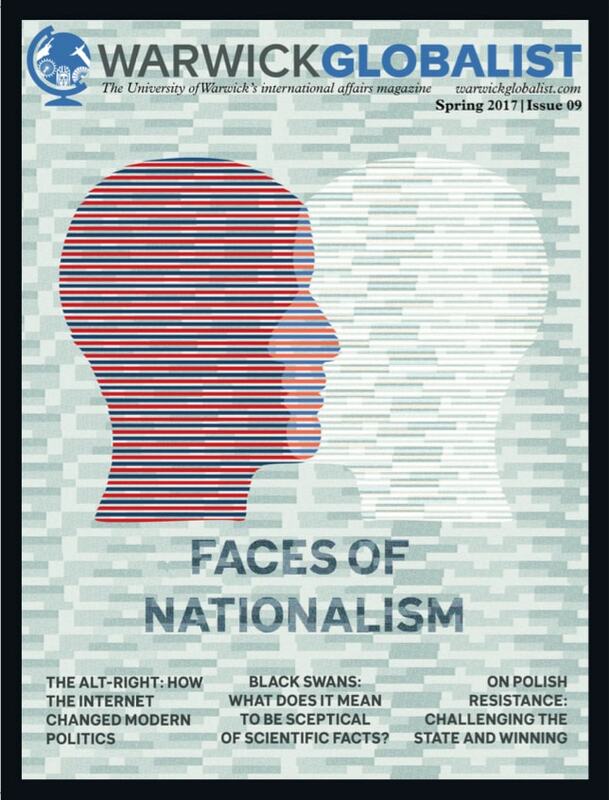 Past issues have focused on Climate Change, Drugs, and Nationalism. This time, the theme is Identity. With the proliferation of identity politics around the world, there has been a marked increase in divisiveness between different groups. By focusing on Identity, we aim to open up dialogues and provide platforms to various individuals and groups at the University of Warwick. In doing so, we hope to rekindle a sense of solidarity - particularly amongst students. In first term, the Globalist hosted its first student-led panel entitled 'Freedom: What it Takes'. Speakers from six politically-active societies came together to define what is required to be free in the 21st century. This event was enjoyed by over 100 Warwick students. We hope to sustain that conversation with a print issue this Spring term - but we cannot do that without your support! Your donation would help us continue our work and provide Warwick students with the opportunity to publish their work. Everything we raise will support our endeavours so please donate if you can. The funds we collect will go directly into paying for the publication of roughly 1,500 copies of our magazine. This magazine will be distributed all across the Warwick campus by the end of February/beginning of March. We will keep our supporters and audiences aware of the exact publishing timescale through social media. In the meantime, we will organise another student-panel to bring together even more student speakers from different communities on campus. Our supporters will be given access to a wide range of rewards - do check them out on this page! We hope you will share our story with your friends and family! Our work this year seeks to create stronger ties between disparate community groups, which means our success depends on involving as many people from different backgrounds as possible. A shout-out on our social media formats thanking you for your generosity. An exclusive early viewing of the magazine emailed to you, so you can see our content before anyone else does!